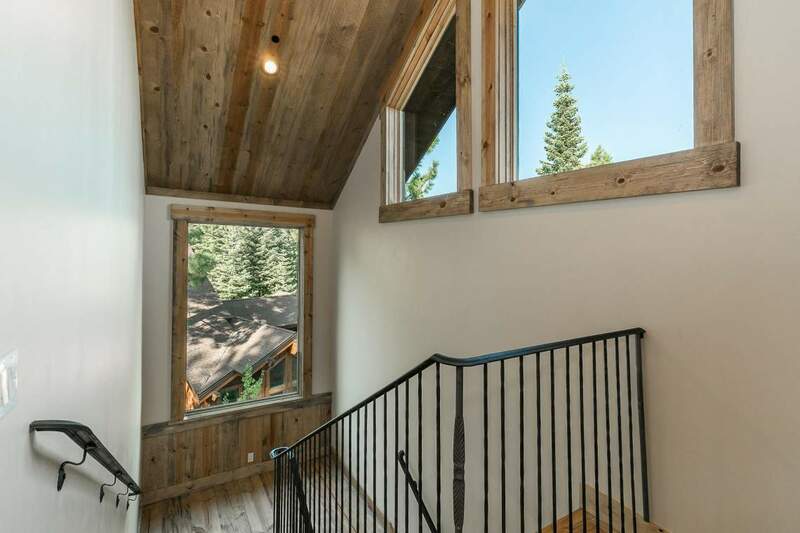 The only brand-new construction offered for sale in Big Springs at Northstar in years. 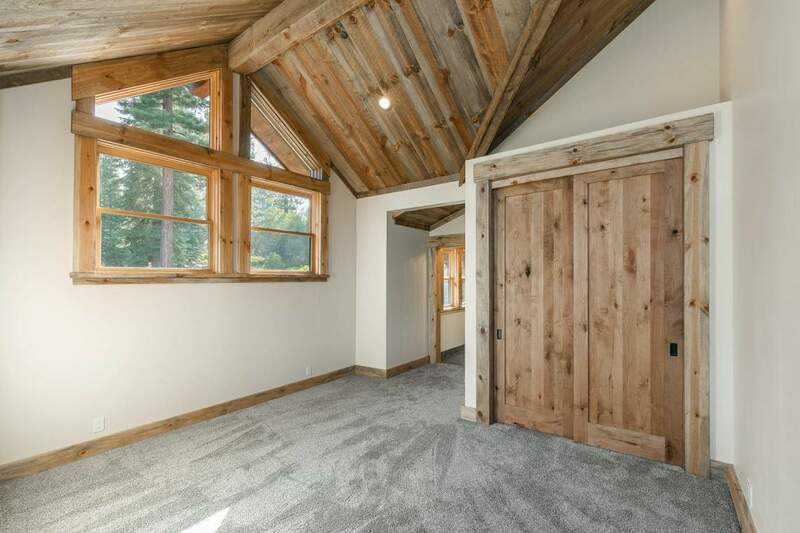 Natural sunlight pours throughout this mostly one-level home, accentuating the timeless beauty of the rustic modern finishes and craftsmanship at every turn. 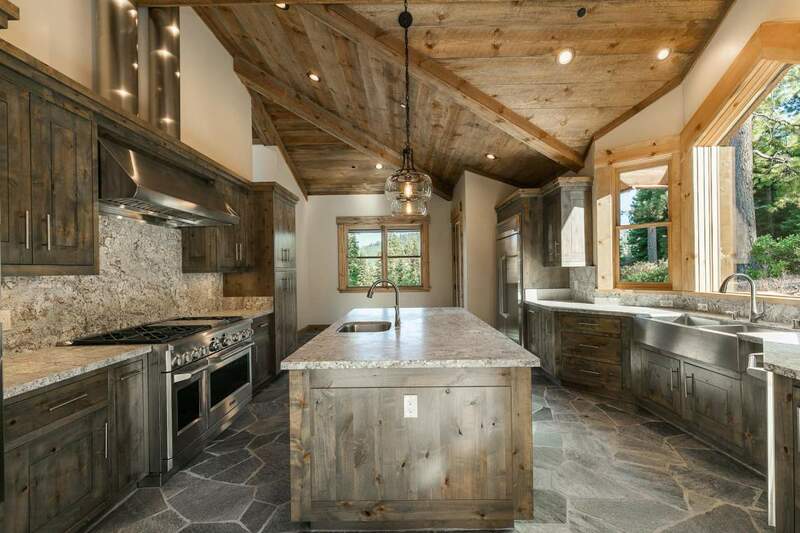 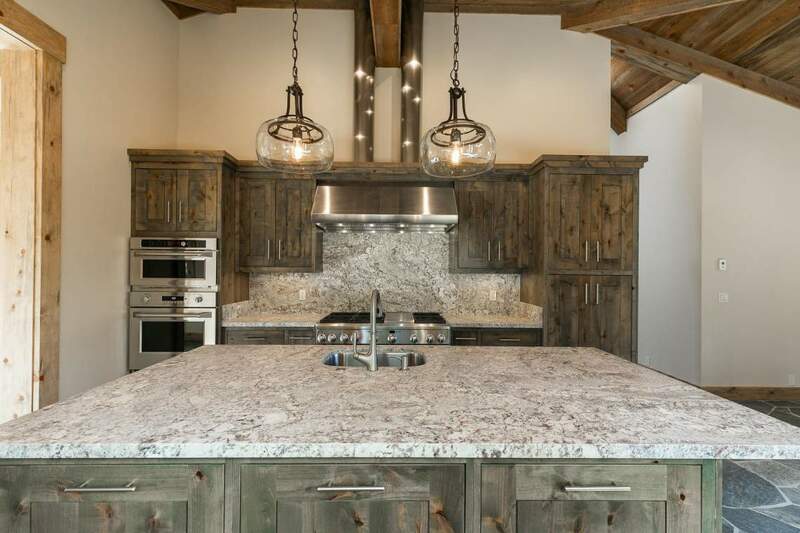 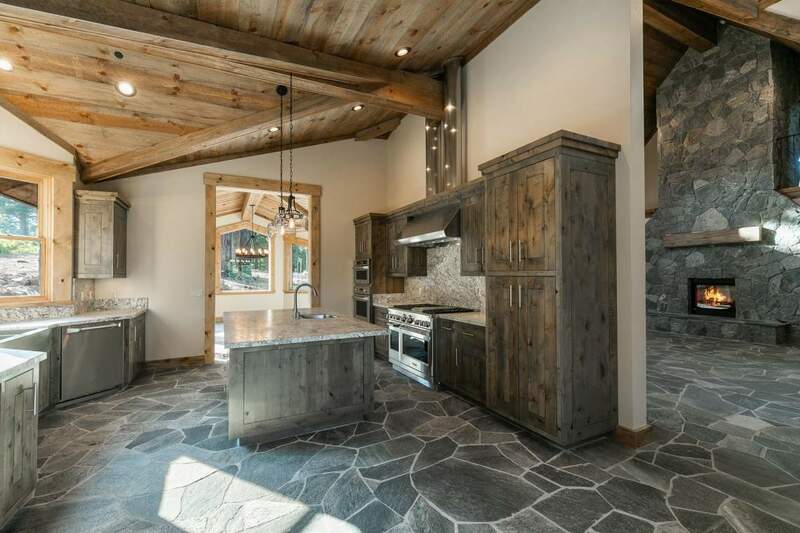 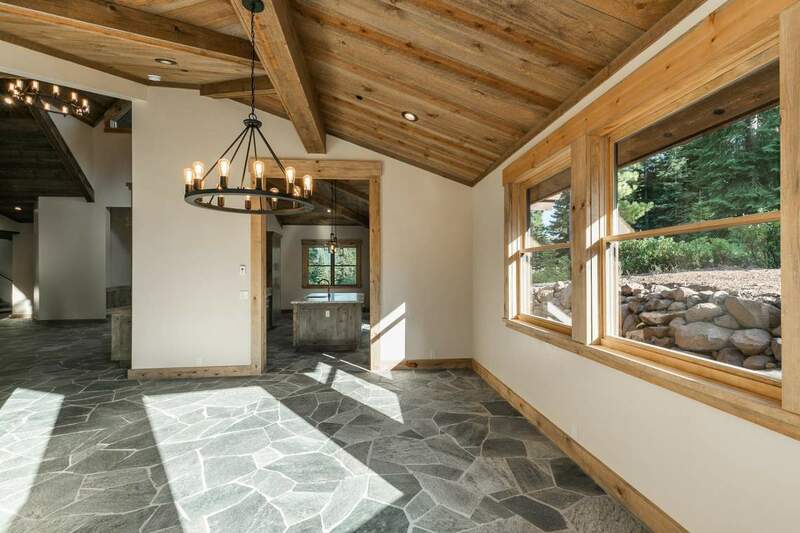 Sustainable lumber from Phillip’s Brothers Mill, both rough-sawn and smooth, warms you everywhere you gaze, complimented by luxurious textures of natural granite, slate, iron, and leathered slabs. 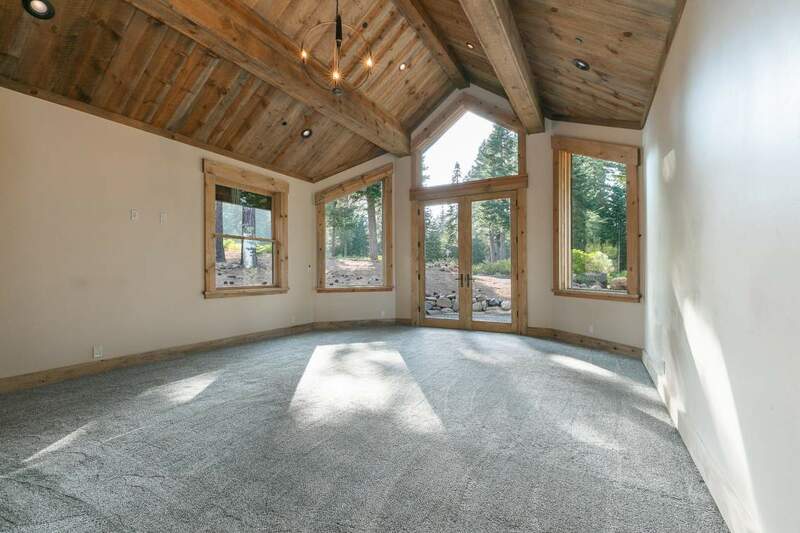 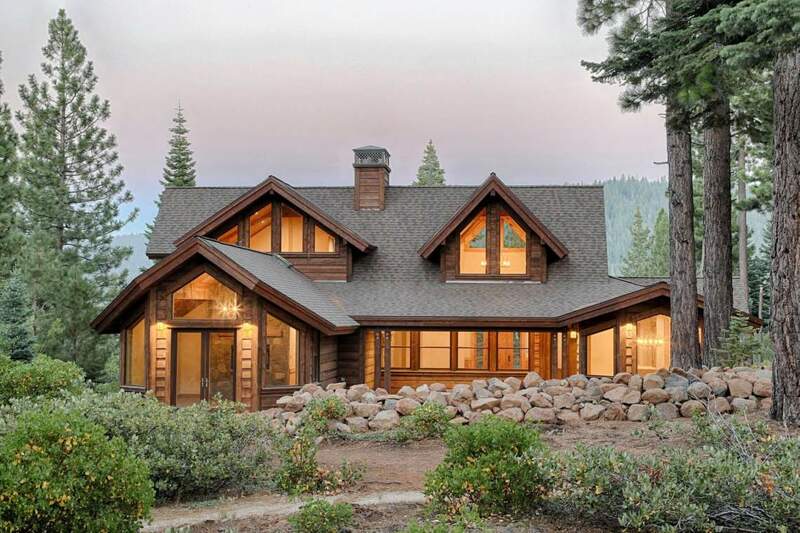 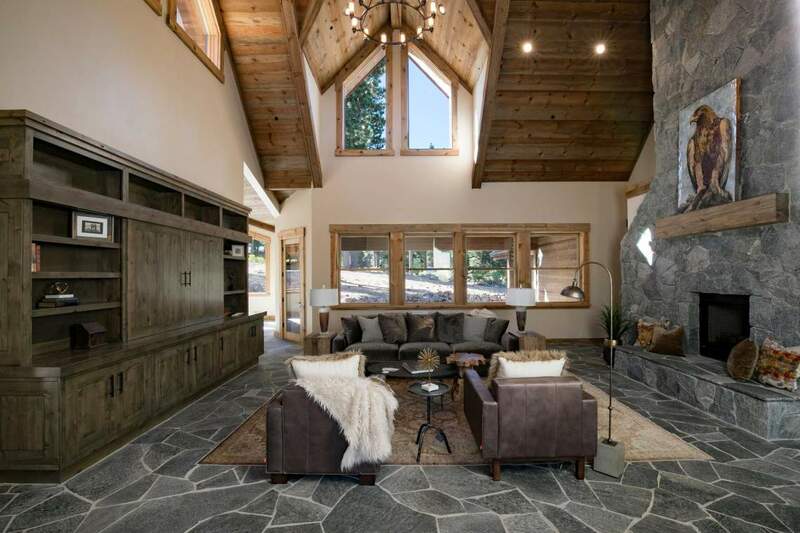 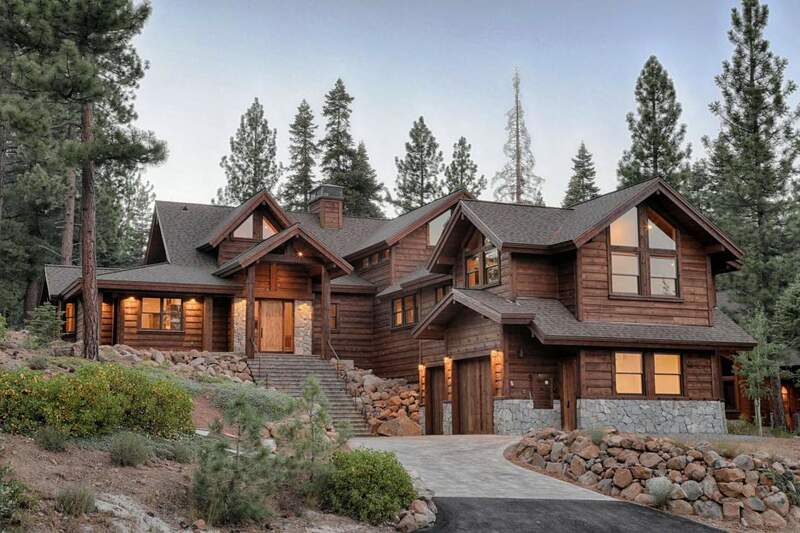 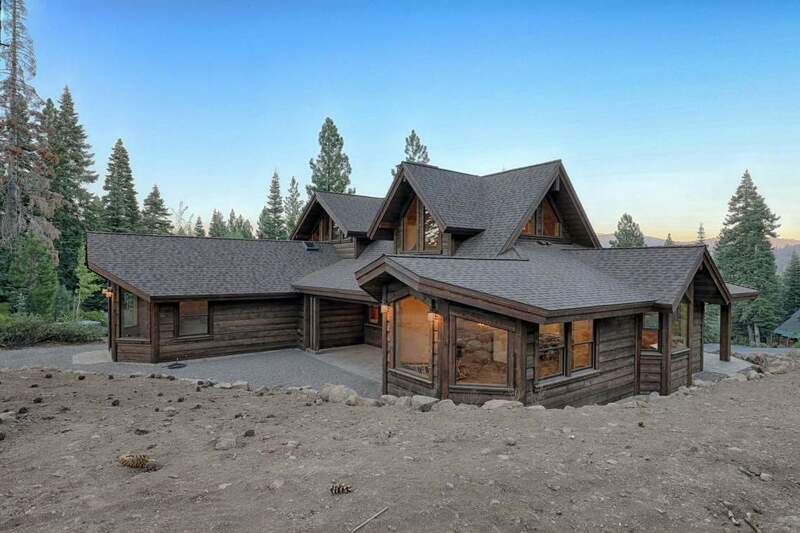 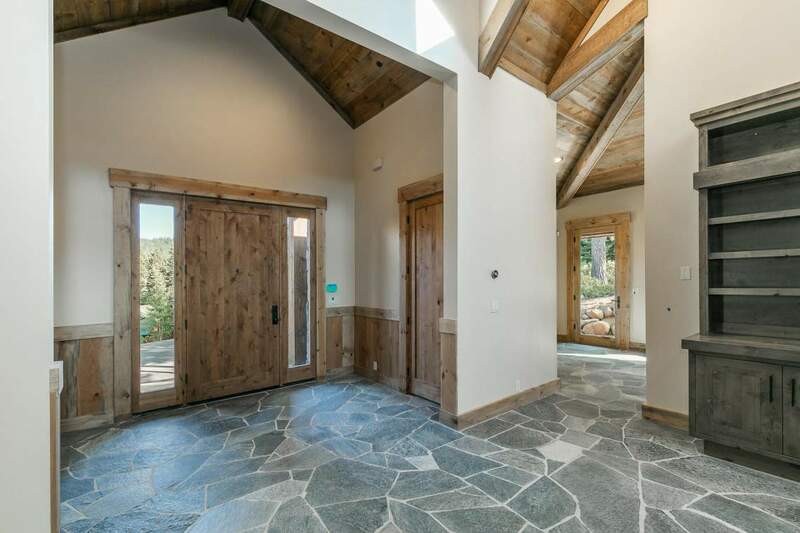 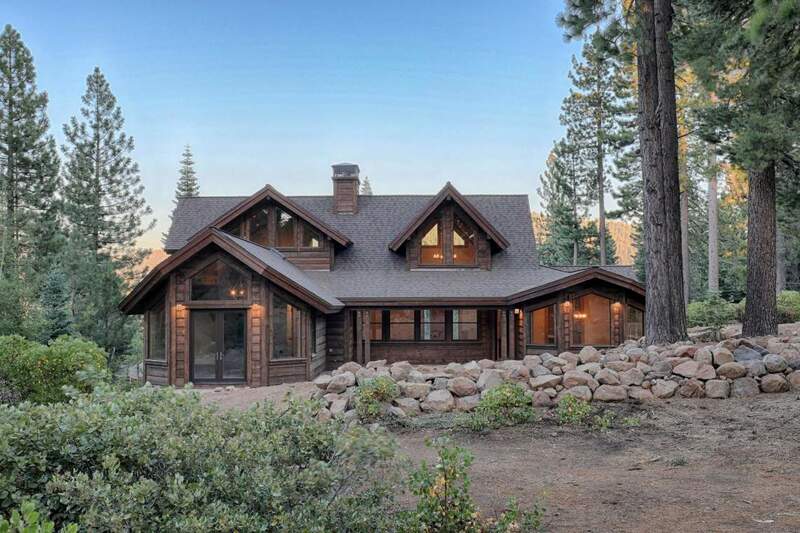 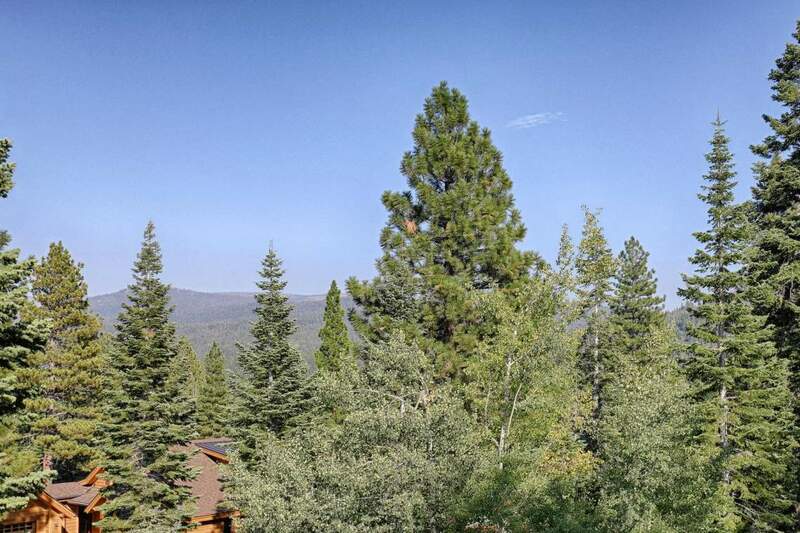 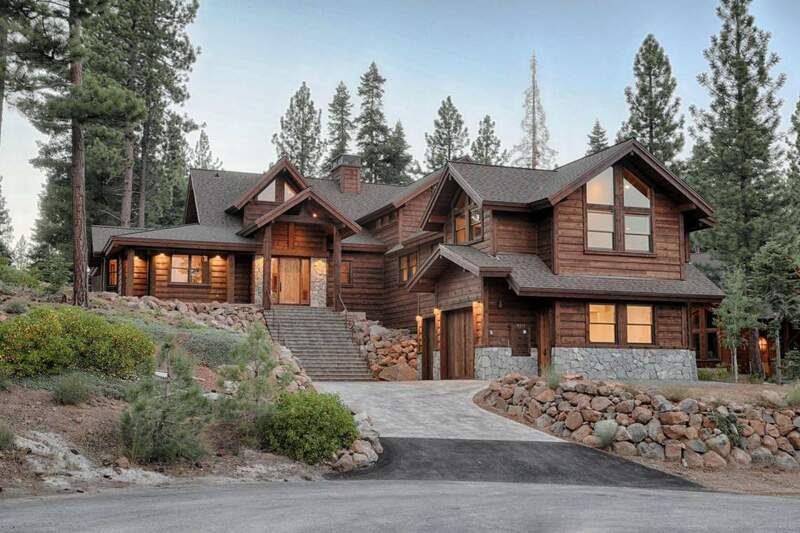 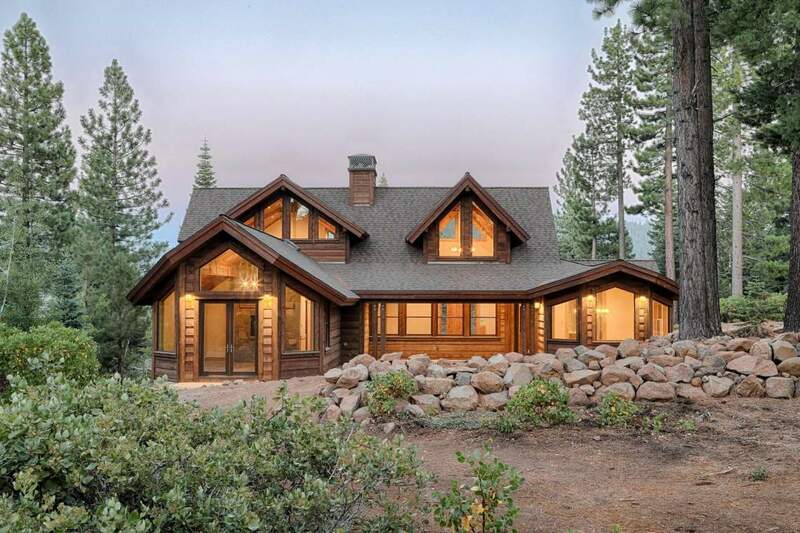 This spacious home lends itself well as a multi-generational family retreat, from which to enjoy all that that Northstar and Tahoe offer together. 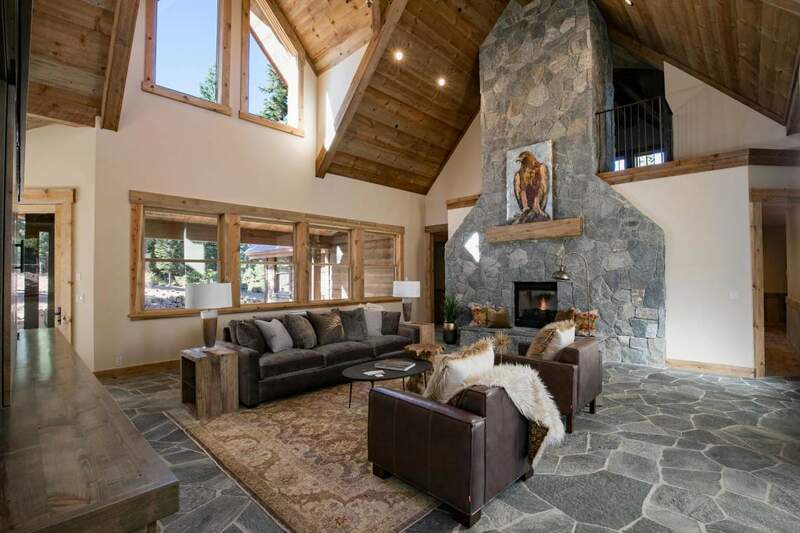 Upon entering, thick pine plank stairs lead you to the main level of the home, where your eyes are drawn up to the soaring ceilings and double-sided fireplace of the great room. 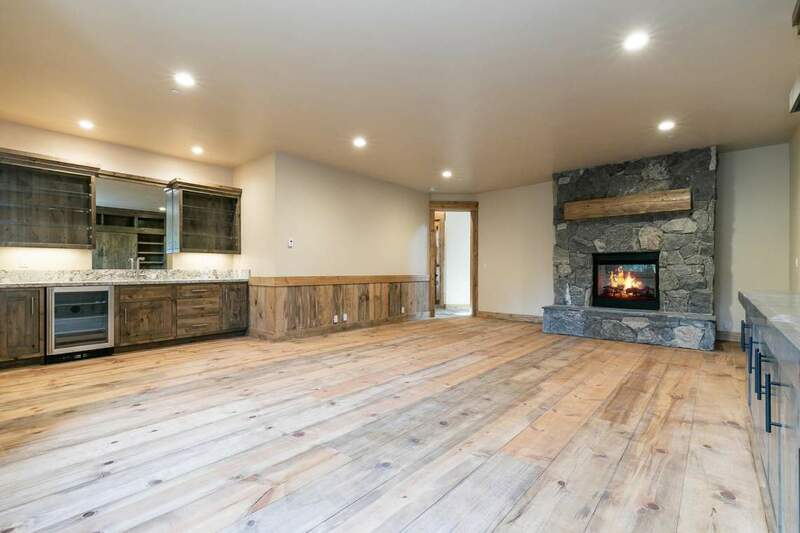 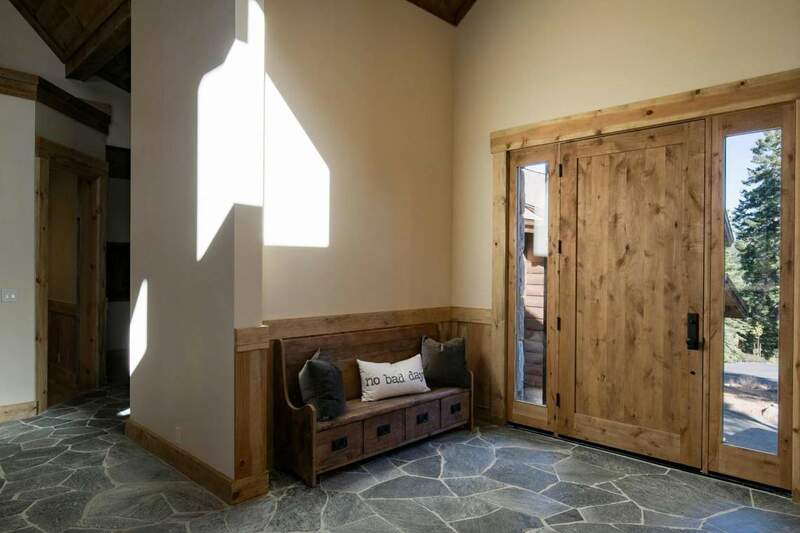 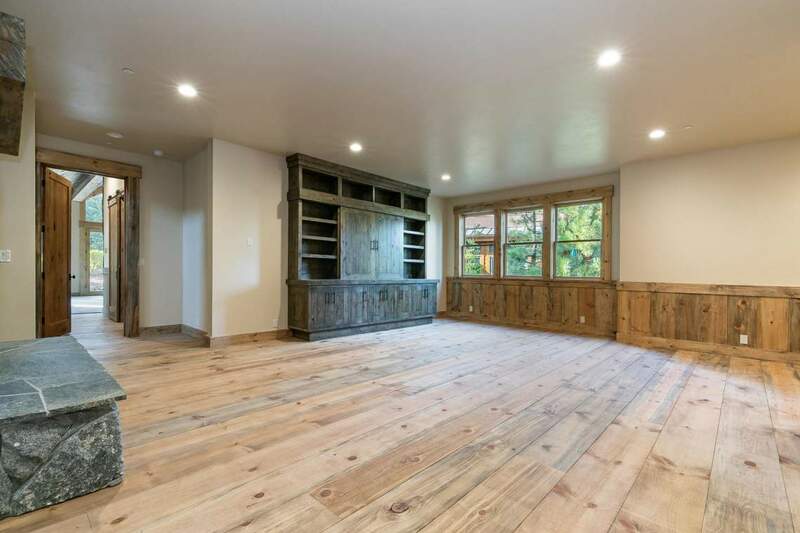 The builder spared no expense with custom knotty alder door and trim package stretching throughout the home, offering gorgeous gray/green tones and shaker-style sliding barn doors on the custom, built-in entertainment centers. 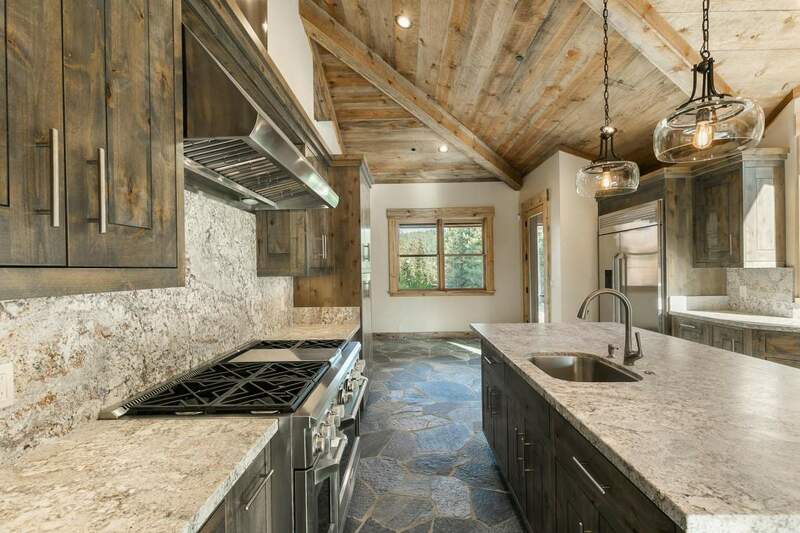 In the Chef’s kitchen, you will find an oversized island for several cooks, Professional Series stainless appliances, a breakfast nook, and plenty of storage. 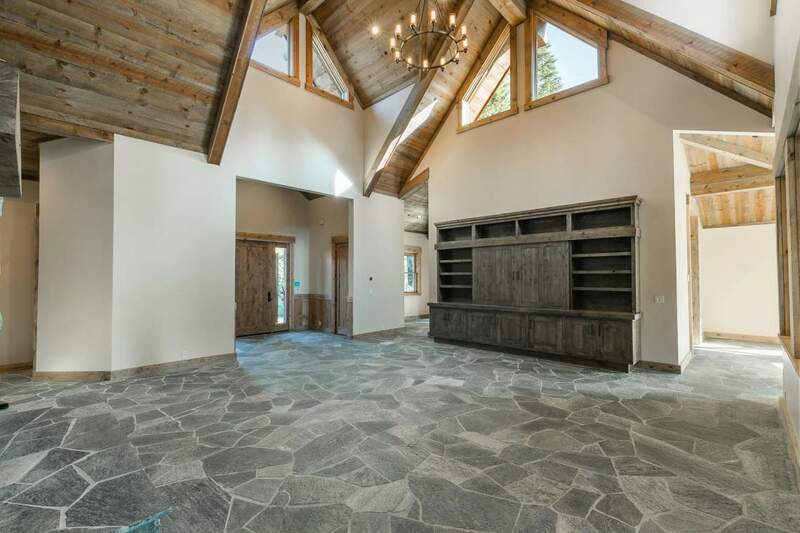 Step out for morning coffee on the patio overlooking the mountains from this southern facing, cul-du-sac location. 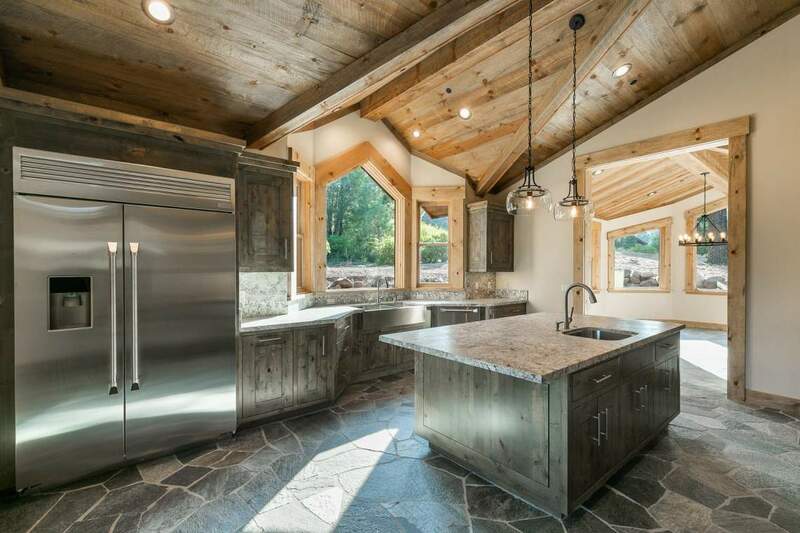 Adjacent to this mountain kitchen is a rustic dining room, with quick access to the covered back patio offering barbequing year-round. 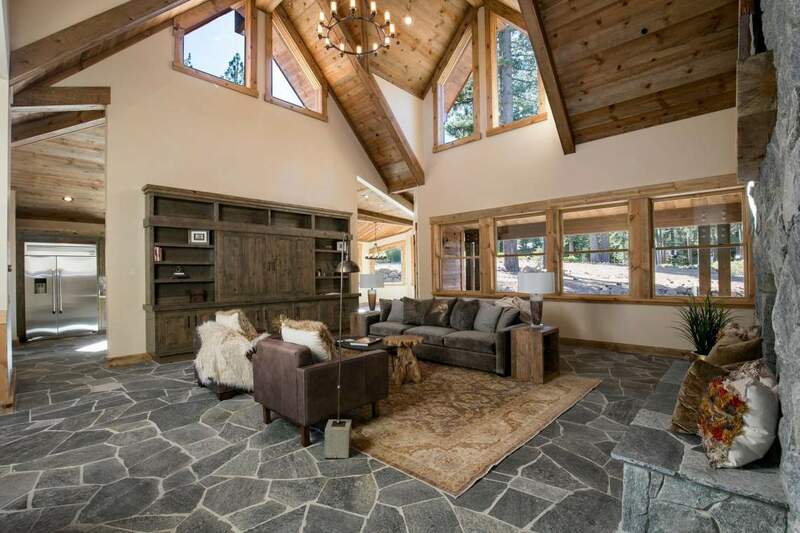 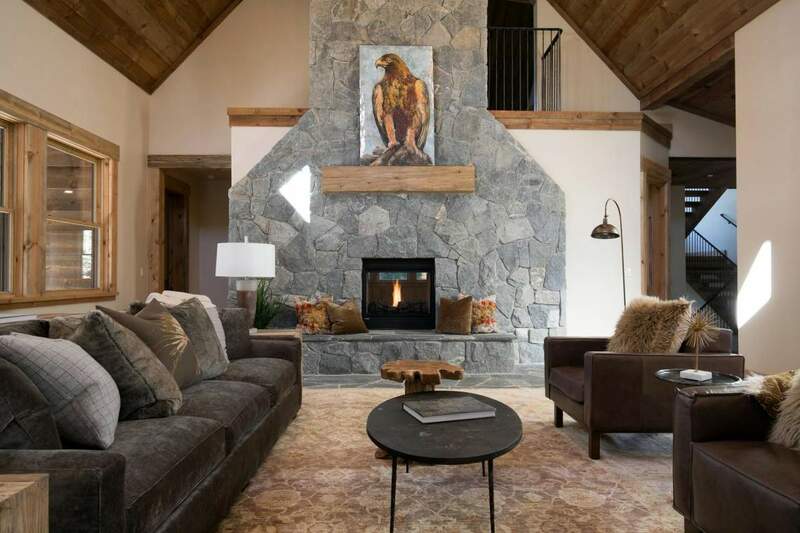 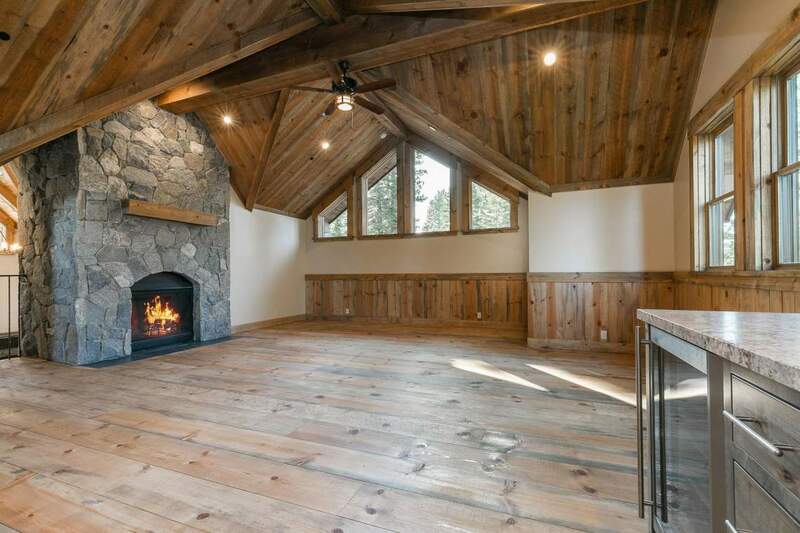 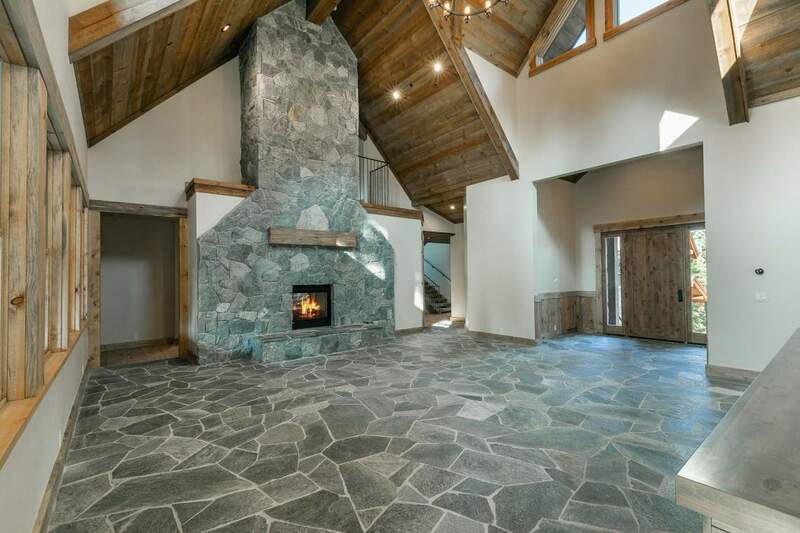 The expansive main level of this 5,251sf home also features a family room with wet bar, sustainable pine wainscoting, and the warm glow of the fireplace which offers an immediate relaxing vibe. 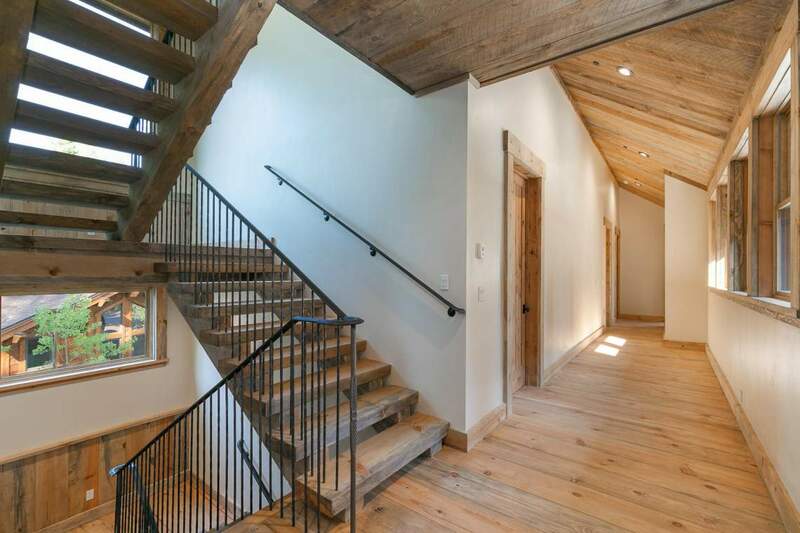 The four en-suite bedrooms each feel like a private abode, yet steps from each other on this main level. 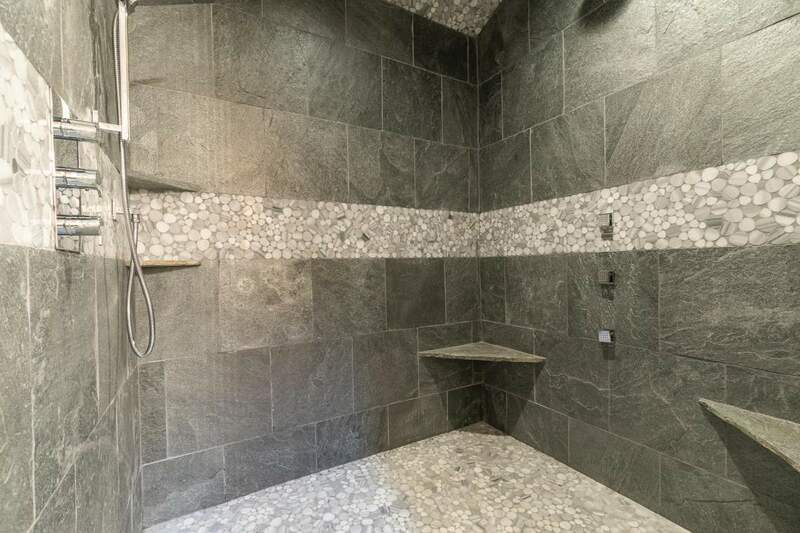 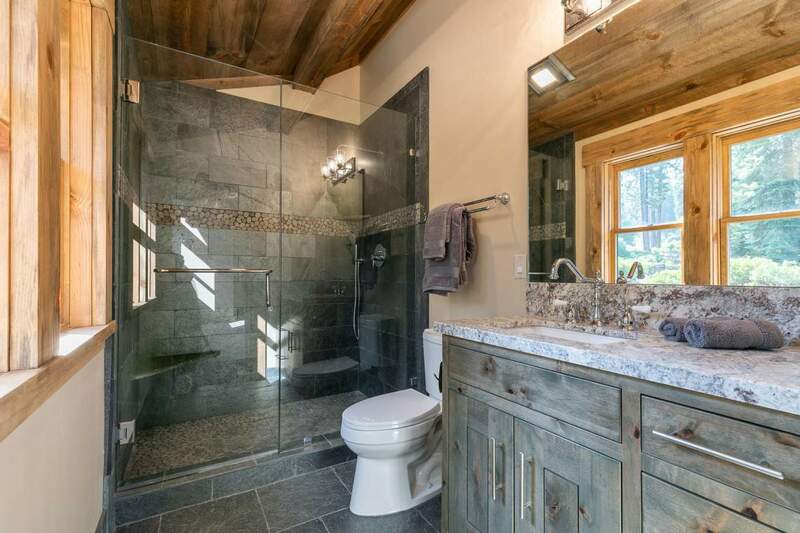 The Grand Master enjoys a double-sided fireplace and a spa-like bathroom featuring a soaking tub, natural slate, walk-in closet, separate water closet, and a private, yet enormous, rain shower with body sprayers. 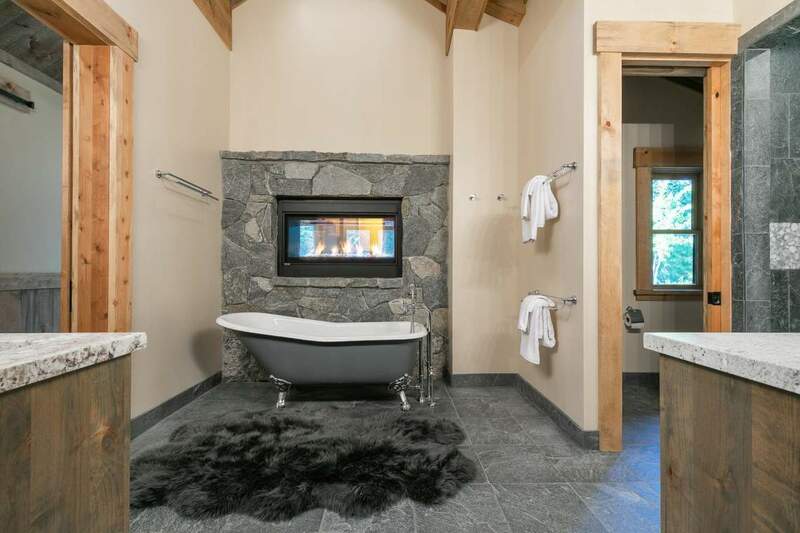 The three Junior Master suites are naturally bright from all day sun, with refreshing chrome bath finishes with natural slate and stone accents. 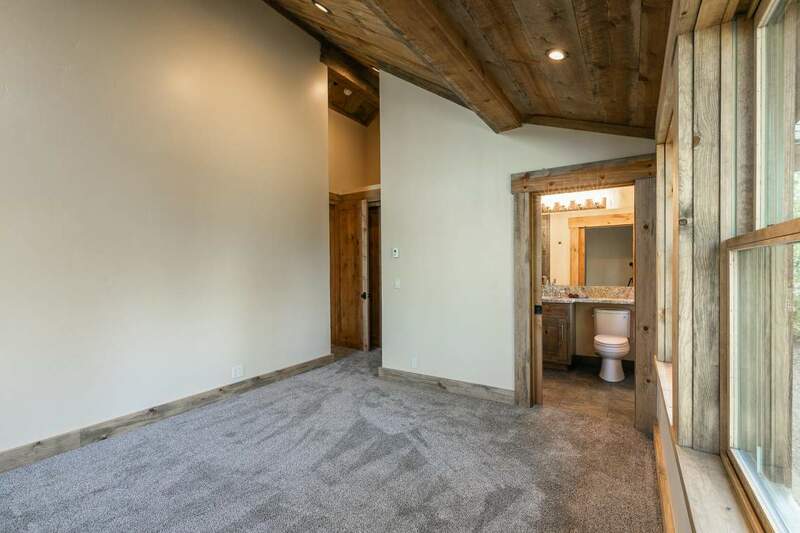 If desired, head up to the bunk-loft where there is plenty of room for games and play in addition to traditional bunk-style sleeping arrangements for the youngsters. 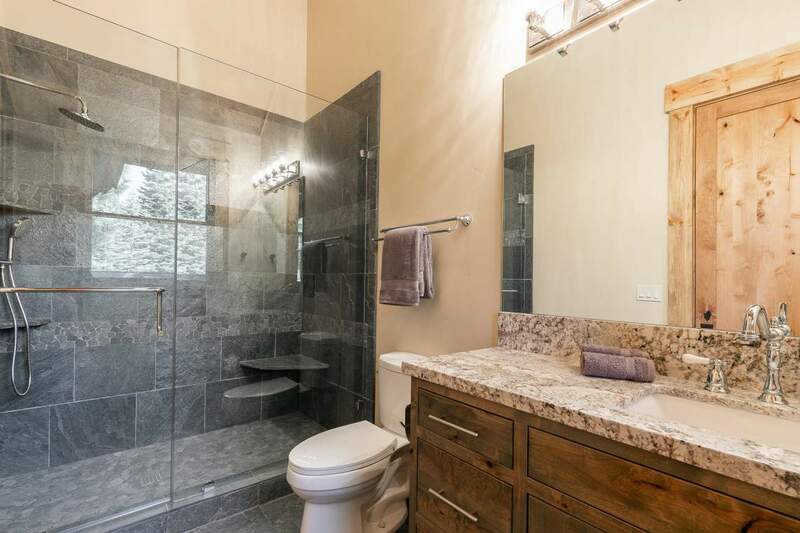 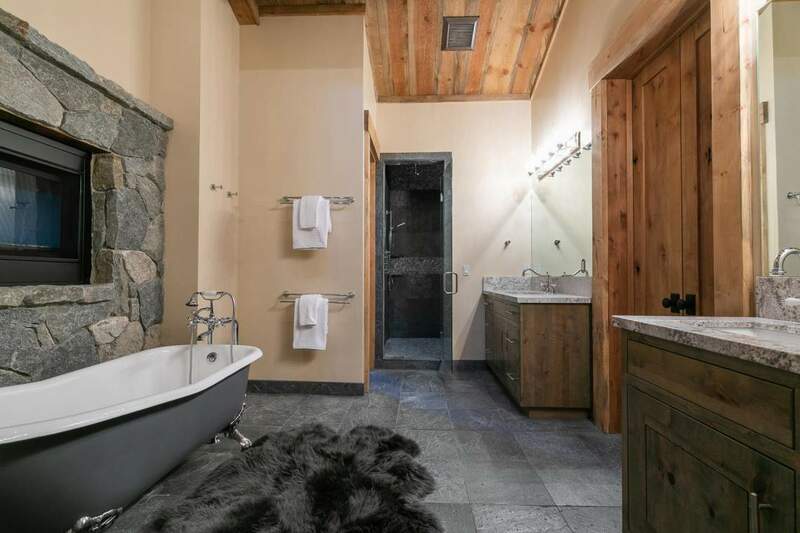 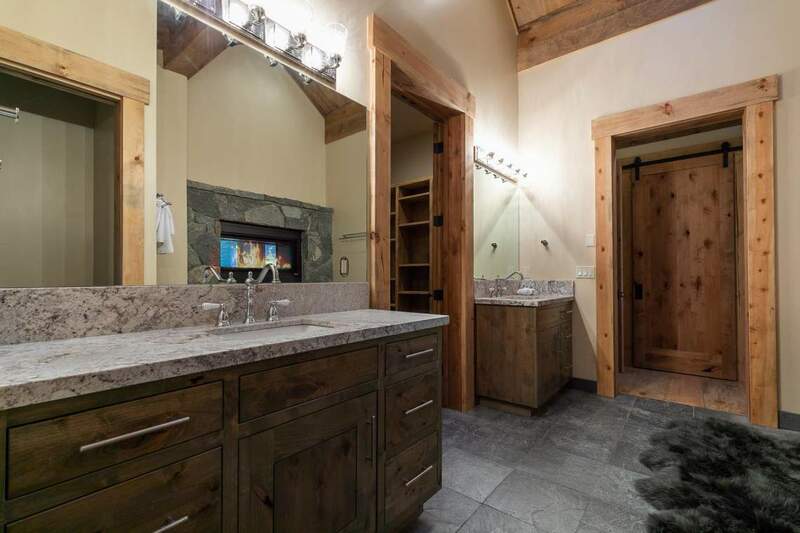 There is a small wet bar, fireplace, and bathroom with a tub. 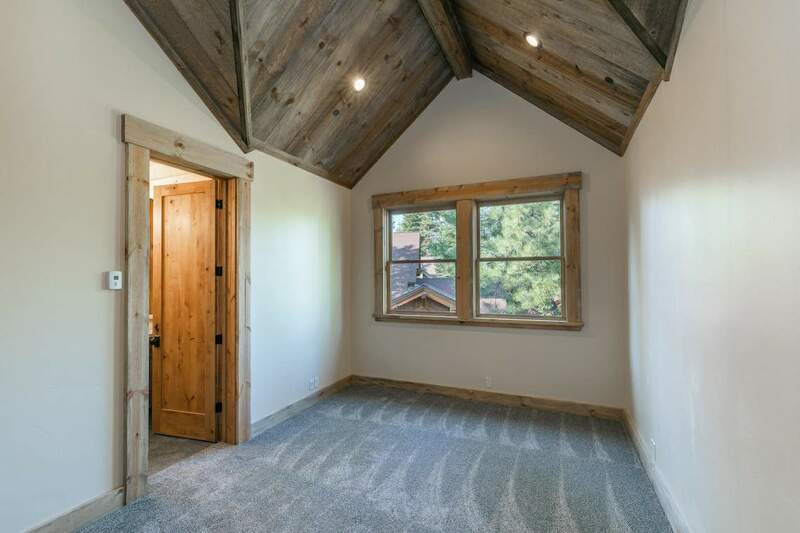 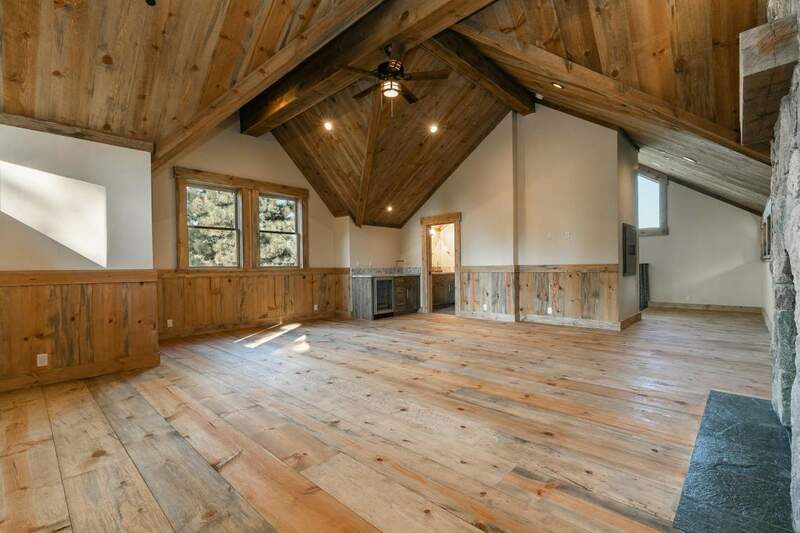 The entire loft is a close second to the family room as a crowd favorite, with the beauty of natural pine wainscoting and warmed hydronic flooring that runs here, and throughout the home. 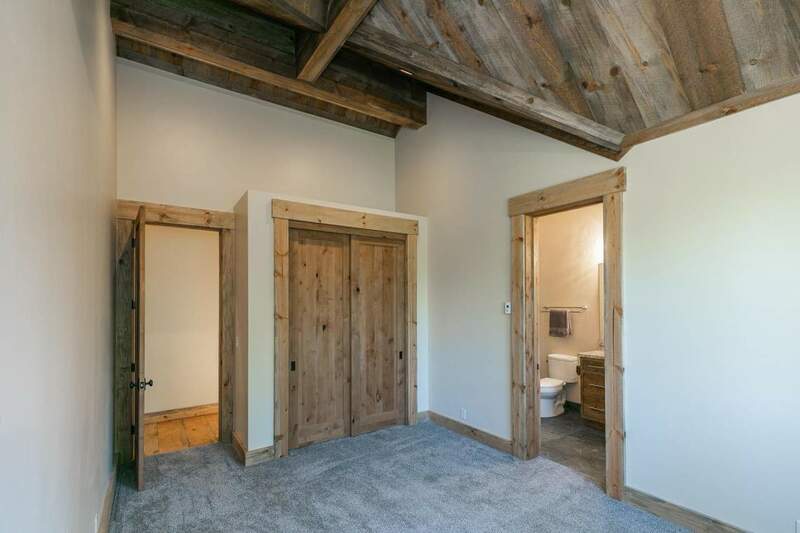 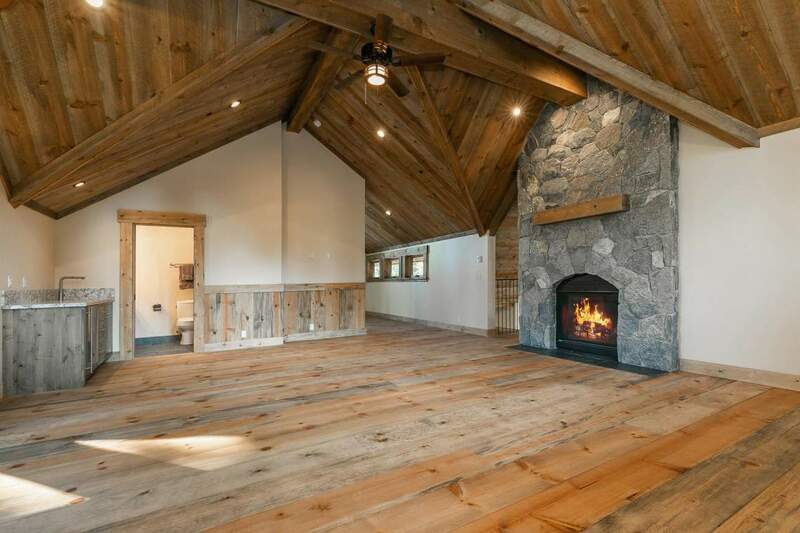 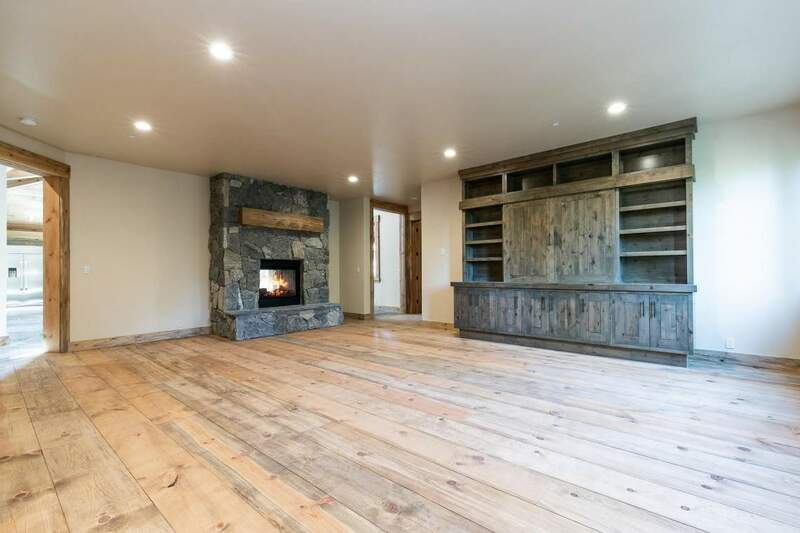 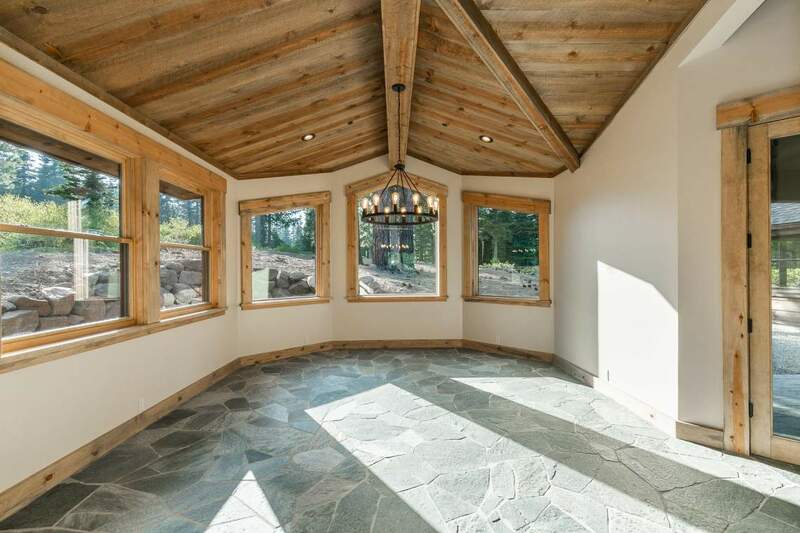 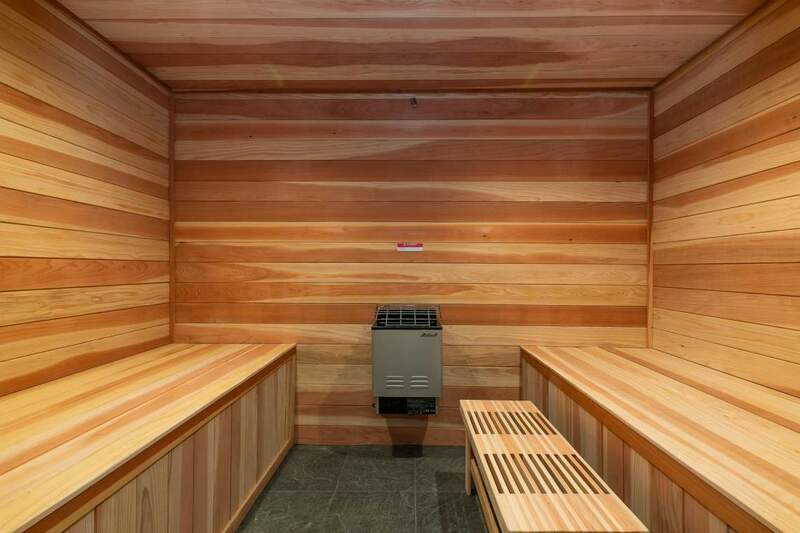 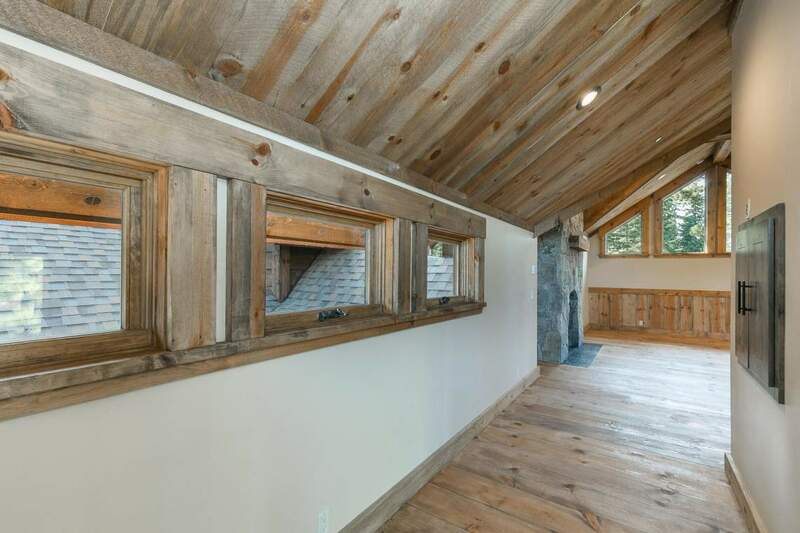 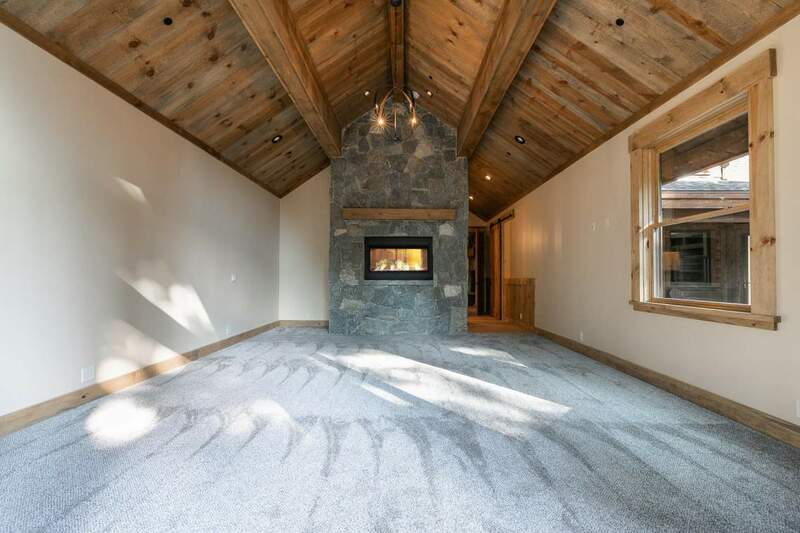 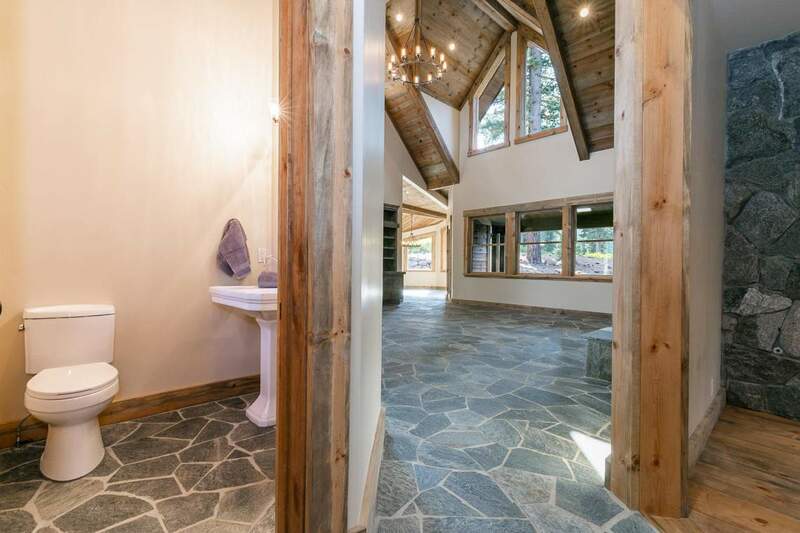 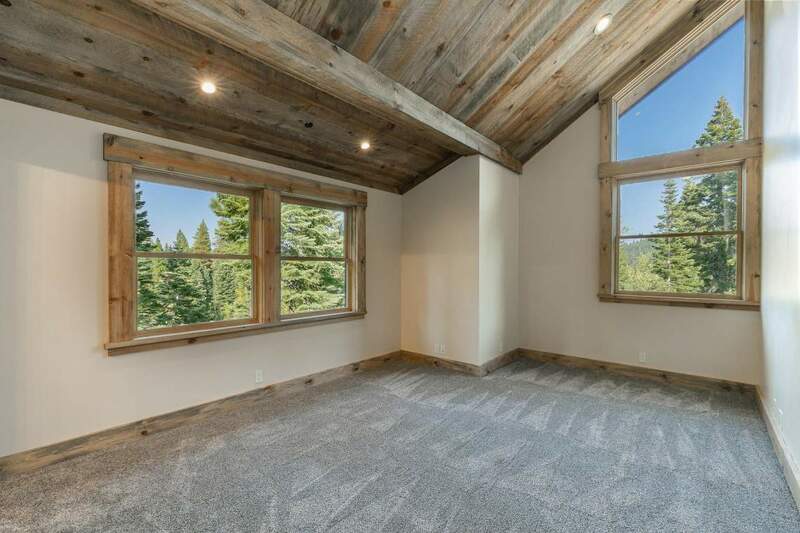 Let’s not overlook the entry level, where you can enjoy an oversized garage leading to a ski mudroom with a redwood sauna. 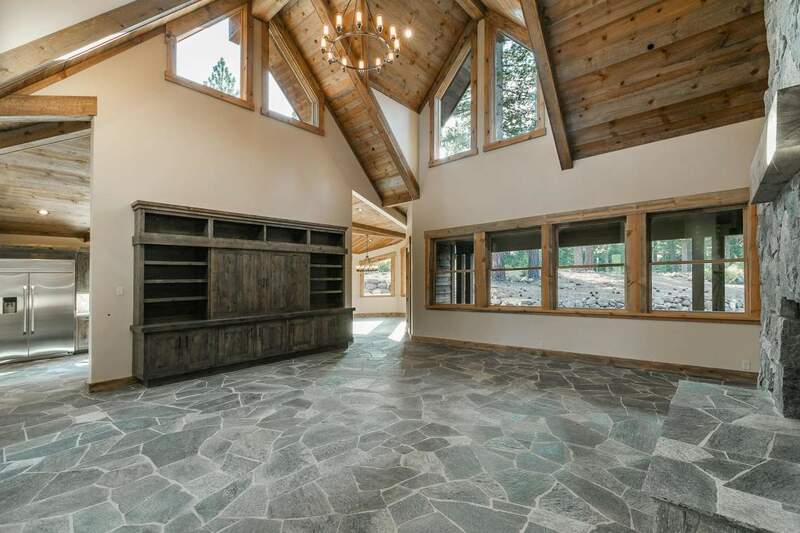 Groceries and luggage? 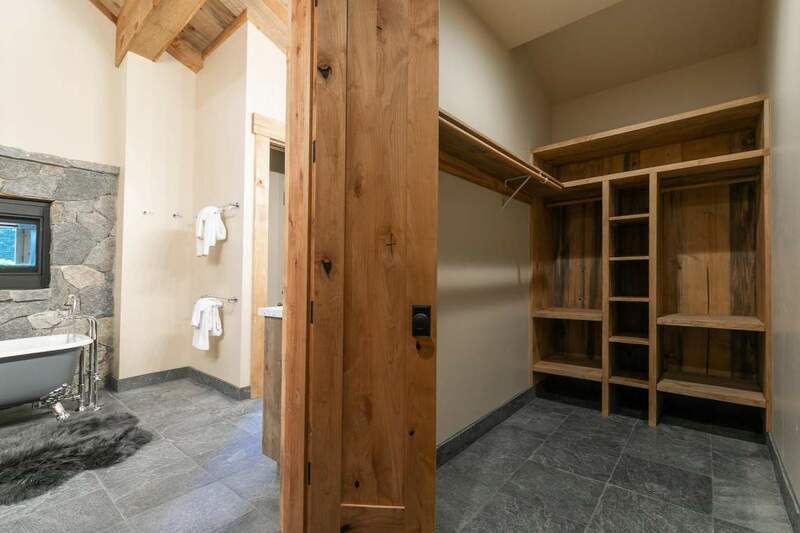 No problem, the dumbwaiter can take it up to the main level or loft for you. 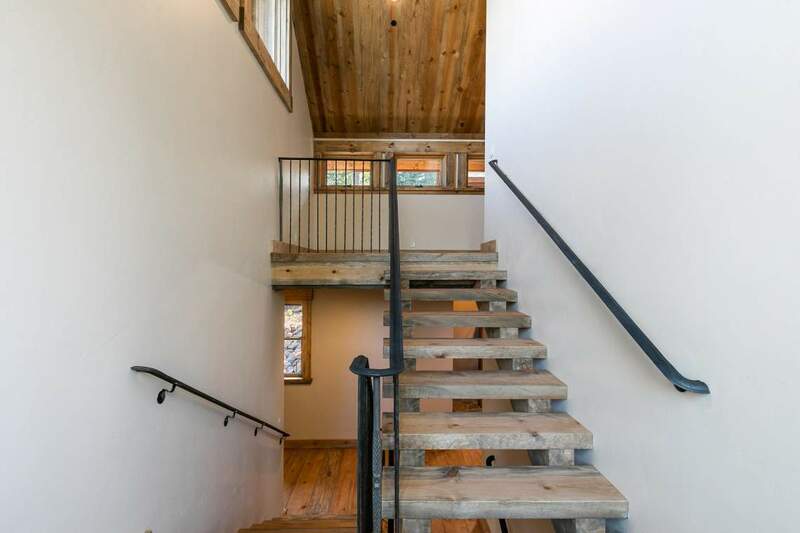 You won’t need to carry anything up even the minimal stairs. 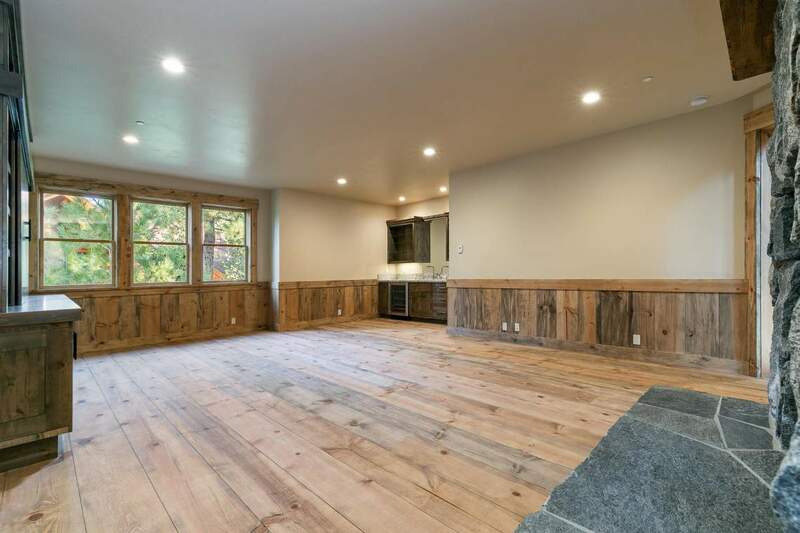 Not included in the square footage is a 700+/- sf bonus storage area off the mudroom, which would make an excellent theatre or wine room if desired. 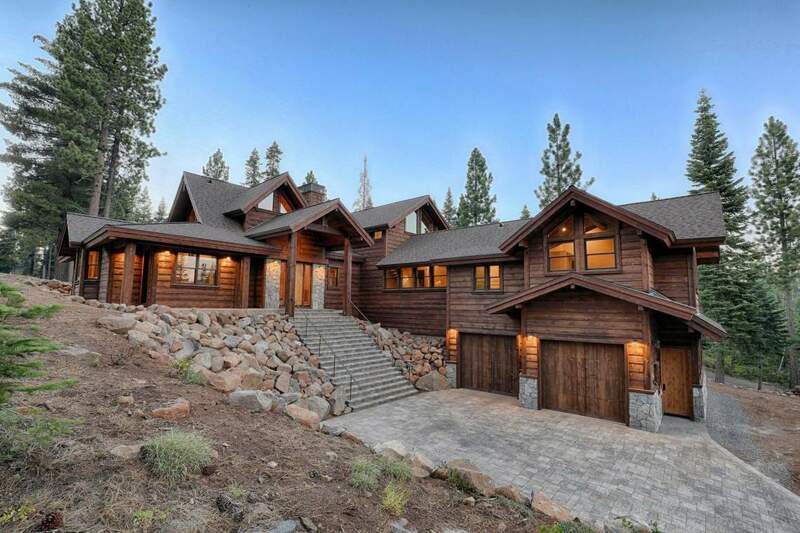 Outside, this Tahoe getaway features a paver driveway + dramatic staircase, two covered patios, and a blank canvas for landscaping. 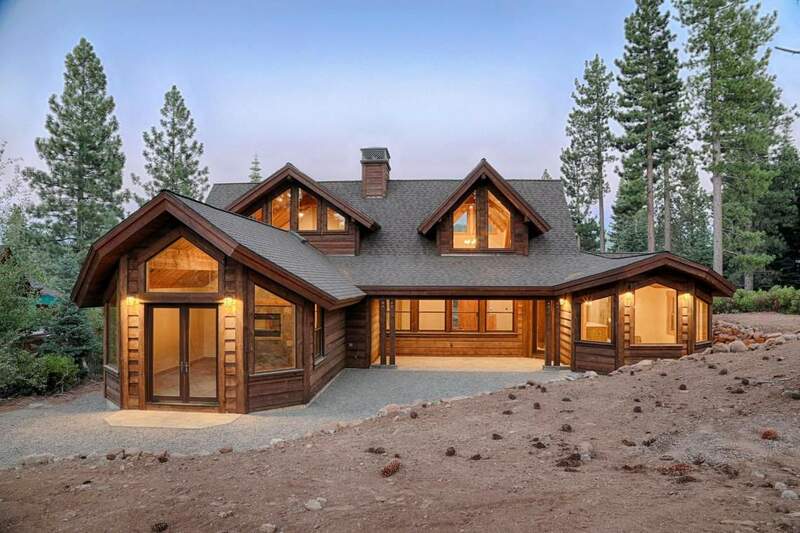 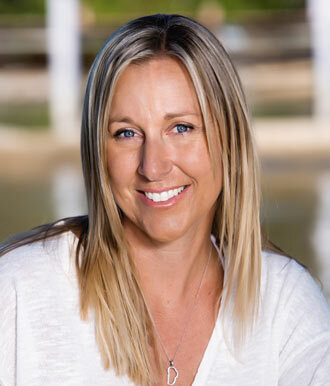 The builder can assist with your landscape vision in the spring of 2019. 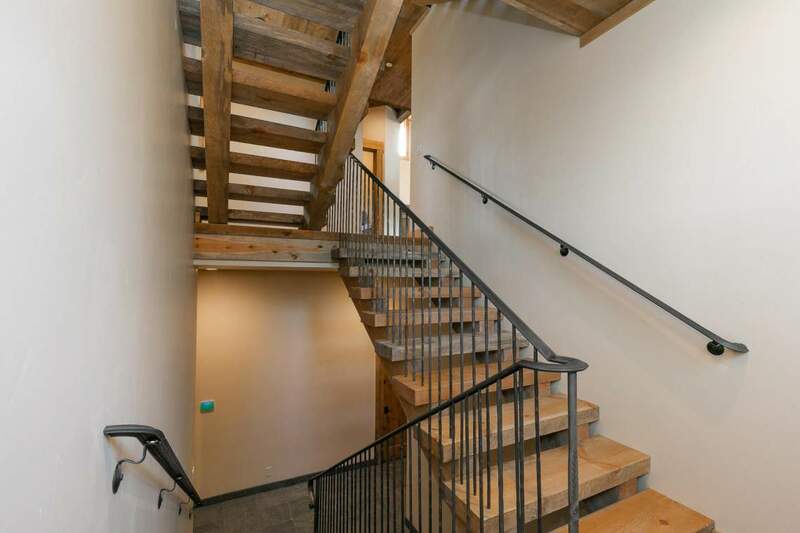 Lastly, Northstar amenities and a door-to-door shuttle to the Village are included with ownership. 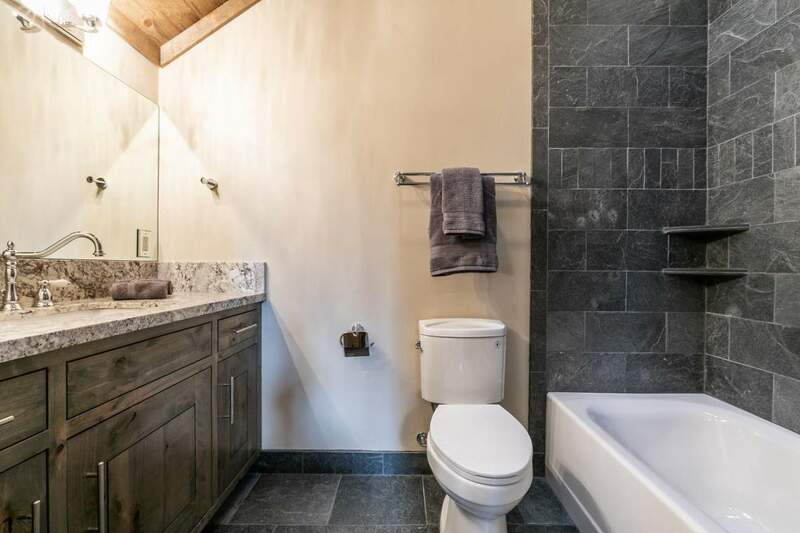 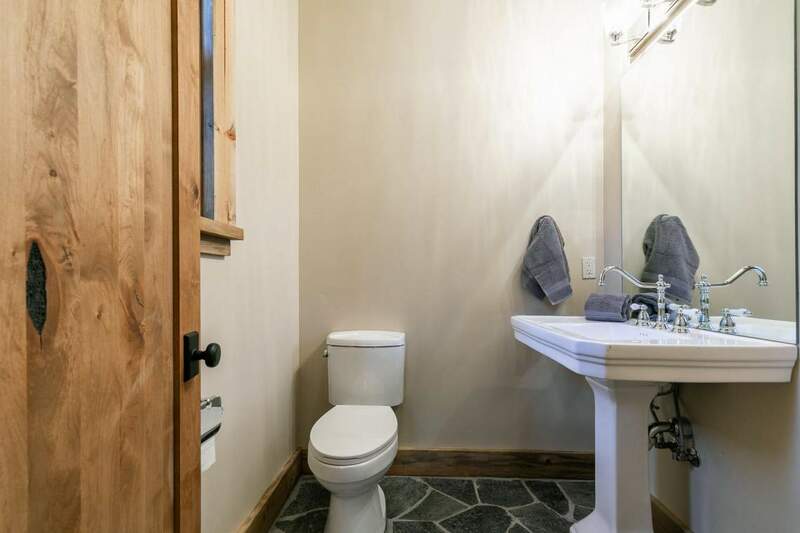 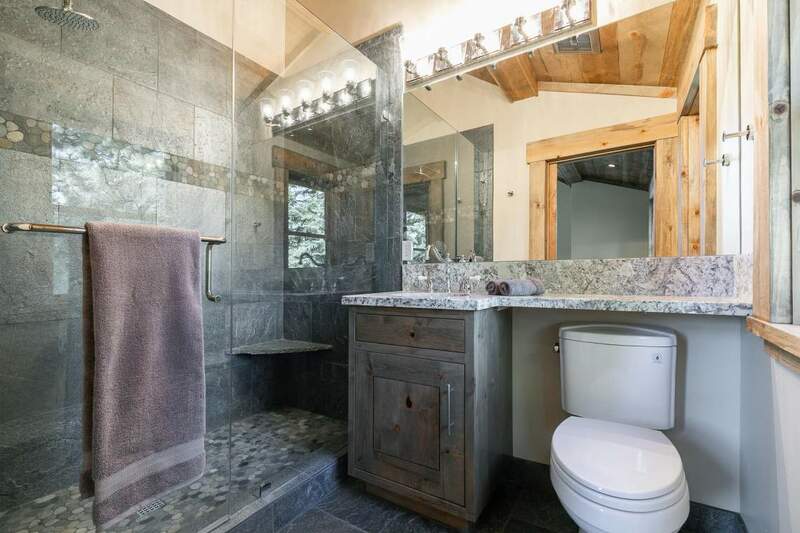 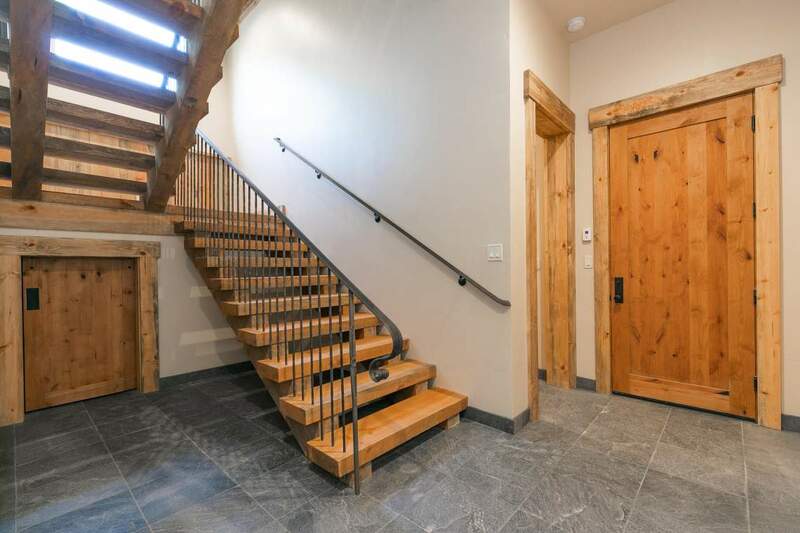 This quiet home is also walking distance to the Timberline ski lift, a Big Springs secret, as well as miles and miles of trails accessible from the Tomkins Memorial Trail System behind this wonderful family retreat. 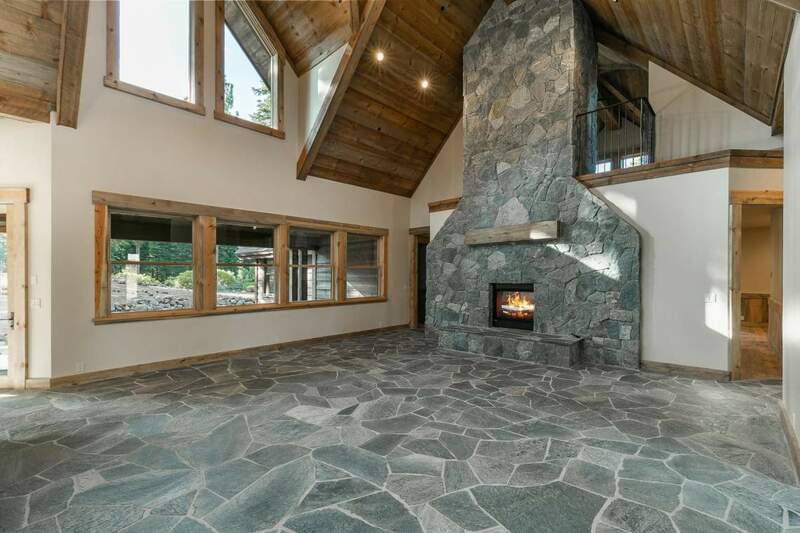 Please call for a private tour or favorable rental projections that exceed $180K a year.